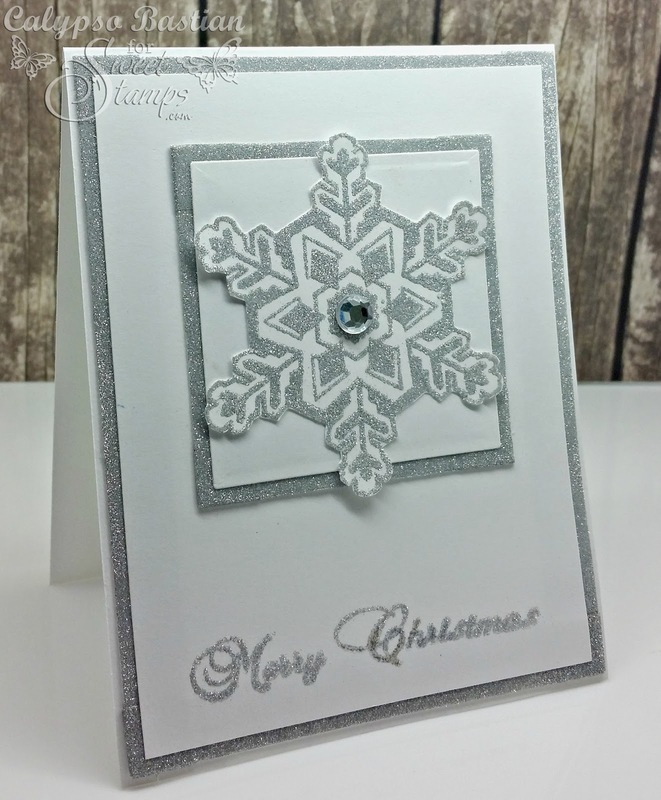 It's a new challenge theme over at SweetStamps. I had a card already created for this weeks challenge, but I didn't use the Christmas theme!1 Yikes!! I've been creating quiet a few Christmas cards and really getting into the spirit of things. 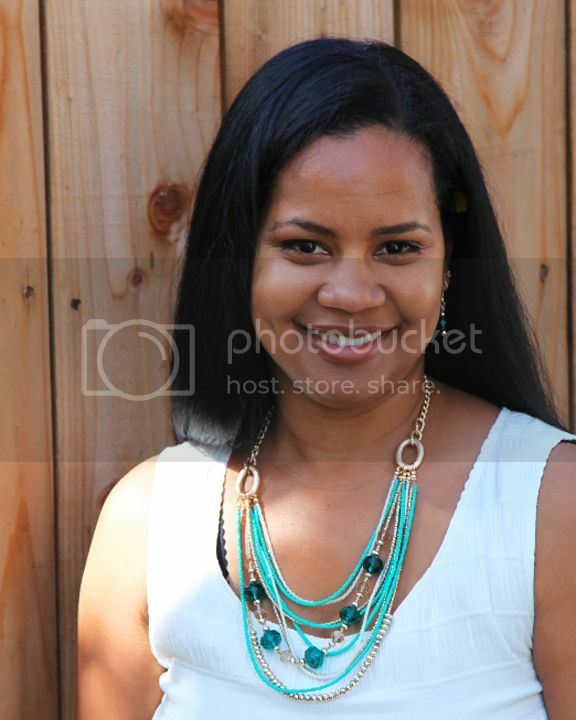 So for my card today, I used silver as my color and LOTS of it!! The edge of the papers were created by using the sticky tape all the way around the card, then I sprinkled and rubbed the glitter on. The snowflake is my favorite part. I recently found a new product by Tim Holtz called Sticky Embossing Powder. All the same techniques for heat embossing apply, accept you have to quickly apply the glitter before it cools. There is still plenty of time to play along with us! 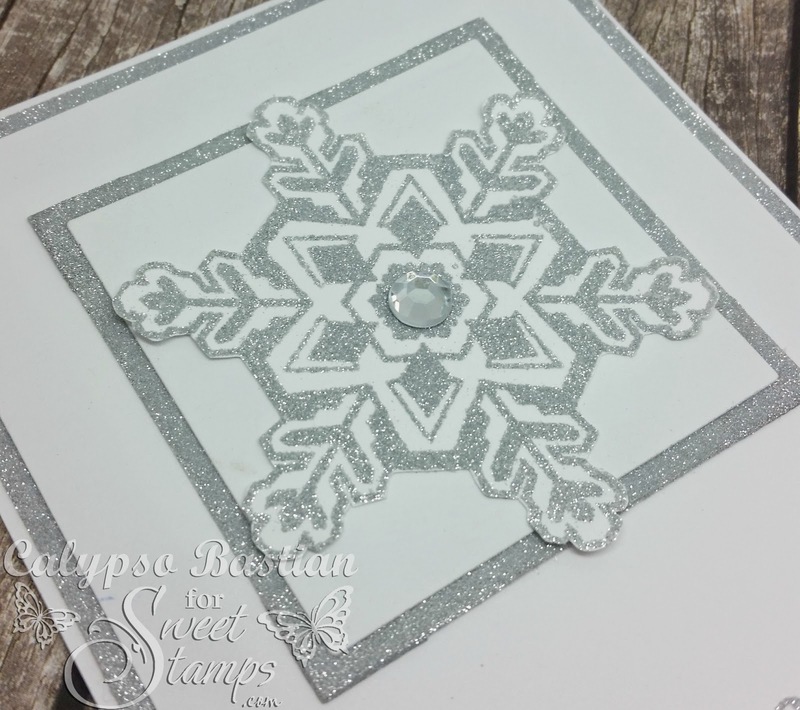 Very cool- loving all of the Silver shimmer and the snowflake is awesome!